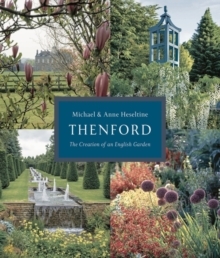 This book is the story of one garden and one family, over a 40-year time period. In their own words, Michael and Anne Heseltine describe the ups and downs of how they set about transforming and expanding a wild, overgrown and often dilapidated woodland into the magnificent garden they have today. Today, the garden at Thenford has an arboretum which contains more than 3,500 different species of trees and shrubs, including rare plants which were wild-collected by well known plantsmen including Roy Lancaster OBE, Allen Coombes, Keith Rushforth and Chris Chadwell. It is also well-known for its sculpture garden, which has an eclectic collection of work ranging from a white marble Tazza fountain to an enormous statue of Lenin.